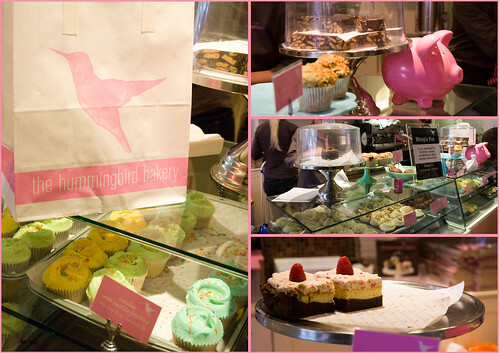 I visited Hummingbird Bakery today as I was in the area and had managed to pick up their gorgeous baking book for a bargainous £4 at a work book sale. I tried a rose cupcake (vanilla cake with rose frosting) and a black bottom cupcake (dark choc cake with sour cream frosting). Both were delicious although I felt like a big fat pig afterwards!